Each month we feature one pet on our Facebook cover photo and website. September’s Pet of the Month is Tyga! 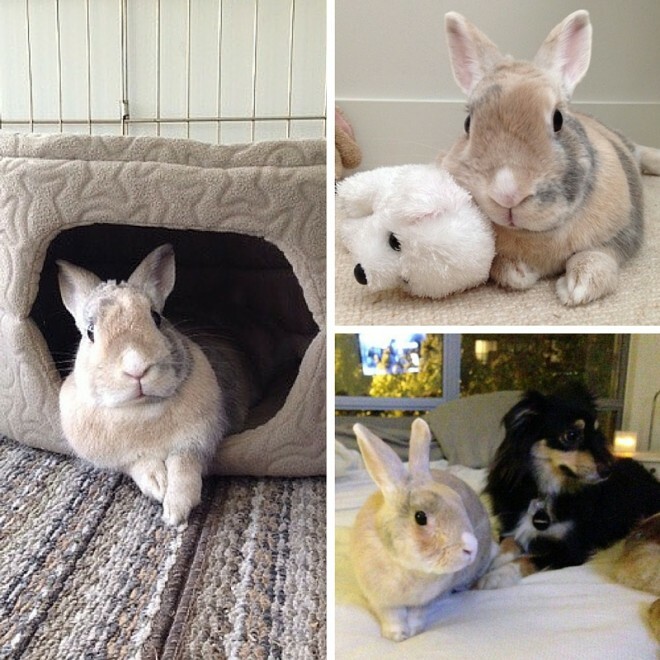 Tyga was adopted in 2012 from VRRA (Vancouver Rabbit Rescue Association). He found his forever home and has enriched his mom’s life greatly. He has not only added joy and warmth to her life, but to others who bunnysit him. He has taught his mom that love comes in many forms and languages. When a bunny sits beside you and stretches out his legs at ease, he’s letting you know he’s home and is happy. His mom encourages people to learn about rabbits. They’re magical animals that make wonderful companions and will melt one’s heart instantaneously. Tyga has two Mini Aussie Shepherd brothers, Taz & Hobbes. When they have supervised play dates, Tyga is treated like the special member of their pack. Thanks for reading! This is our last Pet of the Month feature until the new year with the holiday season (and costume contests!) around the corner.